Barely make noise while working. Improve working environment. The condition will be the same in upper part and lower part in the bowl, which improves yield rate. Help chefs with short experience to avoid “too much mixing”. Upgrade the quality, which assists production of signature products. Help chefs to develop new products, which will be the new source of profit. 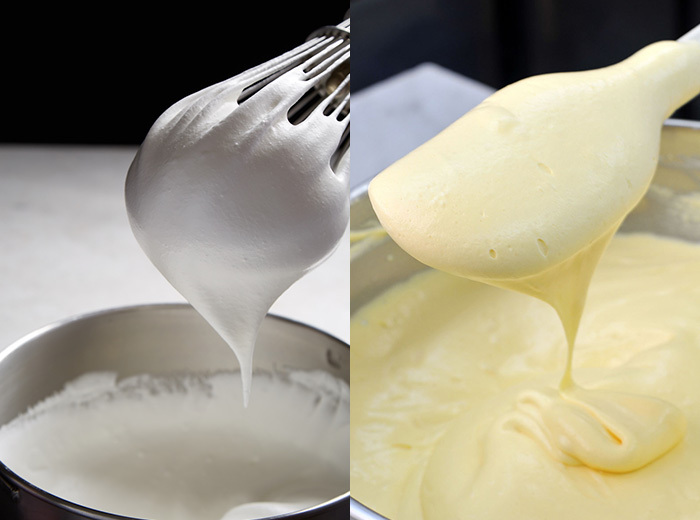 The movement is good at involving lots of air into paste, which is perfect condition for delicate fluffy whipped cream and meringue. It homogenizes the paste, speeds up emulsification. Stir the oils to emulsify and make smooth creamy paste. Keep emulsifying while adjusting the condition of the paste. There are also attachments for kneading, grating (for nuts), and straining (for fruits puree). Roots Trading Co., Ltd. All Rights Reserved.